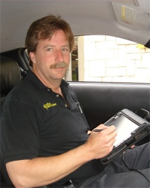 Chris Adams started with Certified in 1986 as an R&R technician. He has an Associate Degree in Automotive Technology from SCC in Milford, NE. He also holds the ASE master tech with the L1 certification. Currently he is our diagnostic trainer and is responsible for keeping our diagnostic techs at the retail locations at the top of their field, and keeping current with all the latest trends and tools in our industry. Chris also works closely with the technical dept at the remanufacturing plant and helps coordinate our fleet of research and development vehicles for testing. Recently a 2005 Chevrolet Avalanche came into one of our shops with the customer concern of the transmission sticking in one gear intermittently, and the Service Engine warning light illuminating. 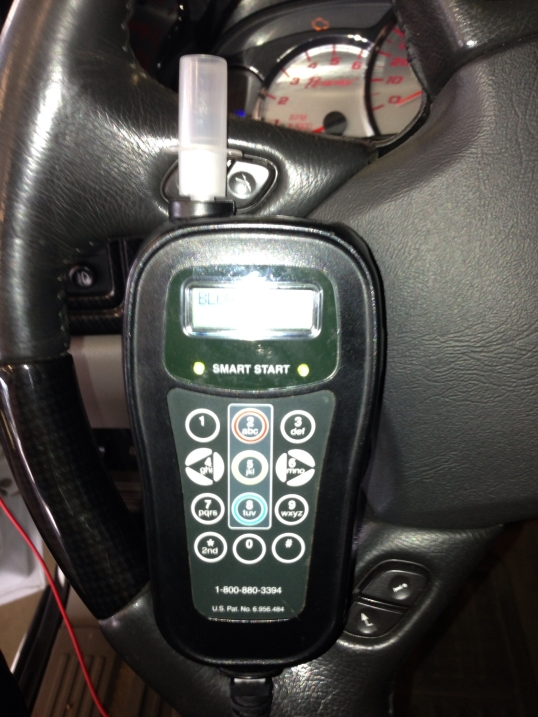 When I went to start our pre-diagnostic evaluation I grabbed the scan tool and went out to the vehicle, only to notice that the vehicle had a “Smart Start” ignition interlock device installed. At this point I decided to hook up the scan tool and check for codes before driving the vehicle, and pulled codes P0740, P0753, P0758, P0785, and P2761. Based on these codes, we advised the customer that he had an electrical issue, and we would need some additional diagnostic time. The customer agreed, and left the vehicle with us to diagnose. 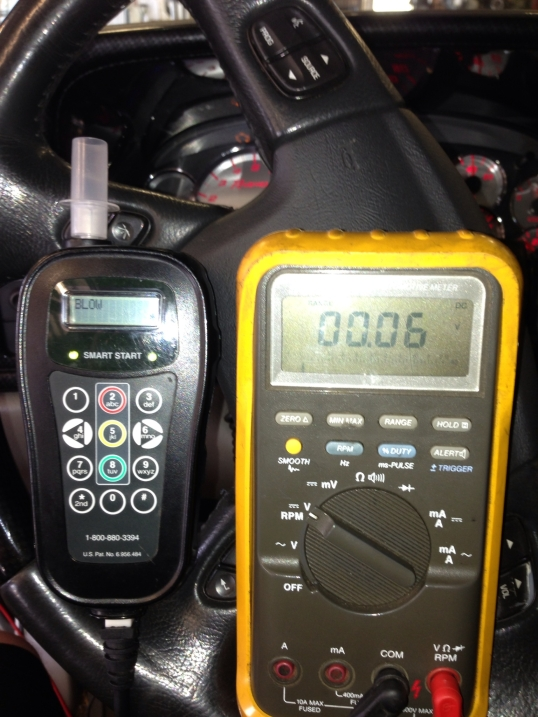 When we encounter these devices on customer vehicles, our standard procedure is to disable the interlock device. Armed with instructions from the interlock manufacturer, we bypassed the interlock and proceeded forward with the diagnostic process. In my past experience (and likely, yours also), the ignition switches in the GM trucks have had frequent issues for years. 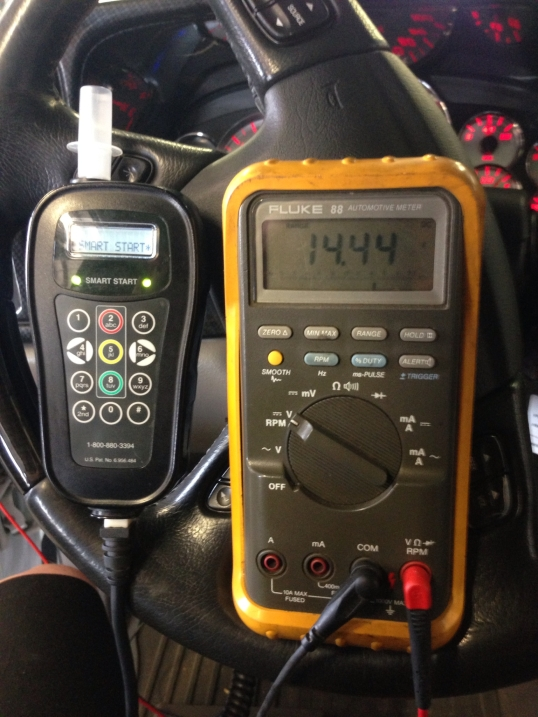 With that experience in mind, I hooked up my Fluke DMM to the Ign 0 fuse and monitored the voltage. Typically, the voltage drop occurs after the start command. After multiple attempts I could not see the voltage drop. I then set up the DMM to record the events. I started the truck and left it idling for about 20 minutes. When I returned to check the meter, I discovered a low reading of 6.2 volts on the recorded data. Since these ignition switches have been problematic, my recommendation was to replace it with an OEM AC Delco part. The customer authorized the repair, so we replaced the part, cleared codes, and re-checked the operation of the unit. Everything was now working normally again. From that point, we removed the bypass from the interlock, and then released the vehicle back to the customer. Unfortunately, the customer called the next day and stated, “It’s doing the same thing again!” Those are six words you never want to hear. Early the next morning, the customer dropped the vehicle off with us again. This time I decided to leave the interlock intact and proceed with the diagnosis again. A scan showed that the same codes as found previously had returned, so I hooked up the DMM to the fuse again to try to see a voltage drop in the circuit. After multiple attempts I could not find an issue, and the vehicle did not set the codes again. I then moved the DMM lead, backprobing right at the transmission connector, with no issue found there. I decided to road test the vehicle some more, thinking that we may have had an intermittent connection somewhere, and a road test might replicate the issue. Now remember, this vehicle has an interlock installed which requires you to blow in to start the vehicle, again after 5 minutes of driving, and then every 15 minutes after that. This made the road test a bit different from the norm. At this point I had about 2 hours into trying to duplicate the problem, but was unable to get the vehicle to act up. As I was sitting there in the drivers seat wondering what I was missing, one of those “ah-ha” moments occurred. I reached up and turned the ignition switch to start and the vehicle started, which would normally be expected, but in this case, I hadn’t blown into the interlock device. The vehicle should not have started. I also noticed that there was no power at the transmission, per the DMM. I then blew into the device, and when it passed, I had power at the transmission. I turned the vehicle off and tried it again, and repeated the results. It came down to the fact that the interlock device was not installed properly, seemingly tied into the wrong circuit. Interestingly enough, if the device was used the way it was designed, then the transmission problem would have never surfaced. What I believe was happening is that with the very large speakers in the back, the customer was unable to hear the device beeping when it requested the breathalyzer test to be run at the predetermined intervals. Instead of disabling the vehicle as designed, it simply killed power to the fuse that supplied power to the transmission causing the unit to lock in third gear, and setting all the transmission codes. While this is not a common problem, I do believe that this situation could be translated into other aftermarket devices such as remote starts or vehicle security systems. Since we are not an authorized installer of this device, we could not repair the problem ourselves so it needed to be returned to the installer for repair. The customer called a few days later and told us everything was working well after the installer had corrected the breathalyzer installation. Sounds like a great cause for a sober celebration.